Manchester United boss Jose Mourinho is infuriated with two of his main men due to the duo’s irrational decision making, according to reports. The latest cause of Mourinho’s exasperation was the hamstring injury suffered by Paul Pogba in United’s opening Champions League clash against Swiss giants FC Basel. The Frenchman was brought off the pitch in the 18th minute of the game after he pulled up, and was later seen leaving Old Trafford on crutches. It was reported by Mirror that the Red Devils boss was ‘furious’ with the young midfielder for ignoring club advice. 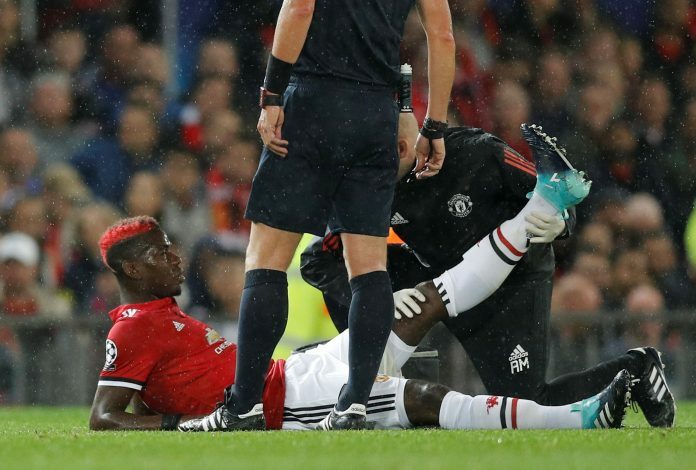 Mourinho has also put the complete blame of Pogba’s injury on the player himself, as a consequence of not listening to the medical advice over what is a ‘long-standing issue’. It was also reported that Pogba was absent for a three-week spell in March last season with a similar issue, and was instructed by the club’s medical staff on how to strengthen the muscle. But instead of following the advice, the superstar has been seeing and receiving treatment from a personal trainer. With Pogba out for potentially a month, his spot in the line-up is now vacant. But as it appears, even his replacement seems to be on Mourinho’s hit-list, after the star’s training ground blunder last season. 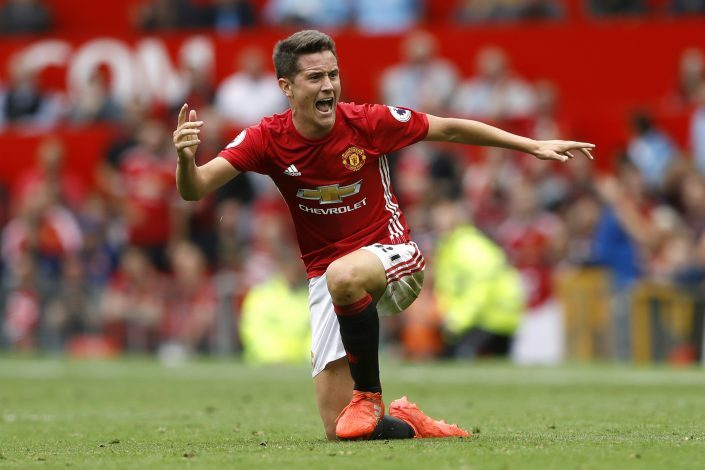 Last year’s player of the season, Ander Herrera, who was thought to be the leading candidate to replace Wayne Rooney as captain, has been merely a spectator from the bench this season. 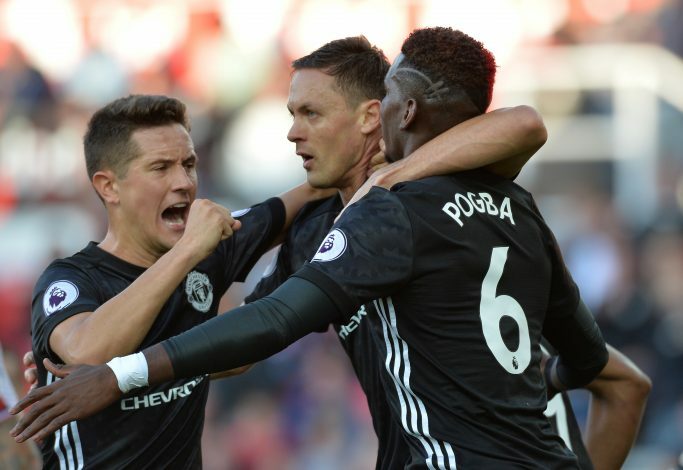 Even though it’s suggested that this is mainly because of the arrival of Nemanja Matic from Chelsea and a huge spike in Pogba’s form, reports claim that there might be a different story altogether behind the selection conundrum. As per The Daily Mail, a gaffe related to last season may be the actual reason behind Mourinho’s selections. It was reported that Herrera had unwarily invited a friend to United’s AON Training Complex at Carrington, who had connections with Celta Vigo, shortly before United’s game against the Spanish side in the semi-final of the Europa League. The Spaniard’s father, who played for the La Liga club, was their sporting director. The report further claimed that Mourinho recognised the outsider, and as a result, the Portuguese tactician rebuked Herrera in his office. Since the incident took place last season, the duo’s relationship has not been the way it once was. However, the Portuguese has insisted that Herrera’s absence is mainly because of the squad strength and the formation he’s playing. Mourinho recently revealed: “No reasons to be out. We are playing only with two midfield players, with Matic and Pogba, which are playing really well and without reason to change. Mourinho is a big fool if he will be having personal issue with his players that’s what happen when l was at Chelsea .Manchester are without left full back and now herrera.